The extreme popularity that mobile devices like smartphones and tablets enjoy today is mainly due to the apps. Mobile apps are an efficient and easy way to accomplish tasks in an easy and less time consuming manner and a must-have for any future orientated company. That’s the reason why Skrill decided to launch their mobile app at the end of 2013. 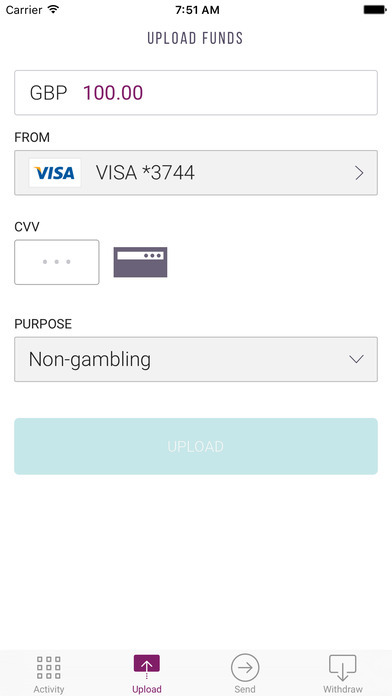 The Skrill app allows customers to manage their eWallet account and send and receive instant payments to anyone, anywhere and at any time. The free app is available on Android and iOS platforms and can be found in Apple app store or Google Play store. 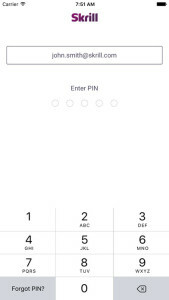 To login just open the Skrill Mobile App on your smartphone or tablet and enter your mail address and your password. If you also have enabled the 2-Factor-Authentication you need to enter your code as well. 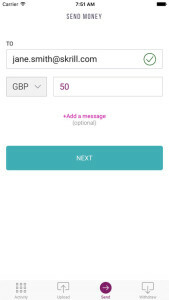 Sending money using your mobile app is also quite easy and comfortable. You just need to choose the ‘Send’ tab at the bottom of you mobile device and enter your recipients mail address, your preferred currency and the amount you would like to send. 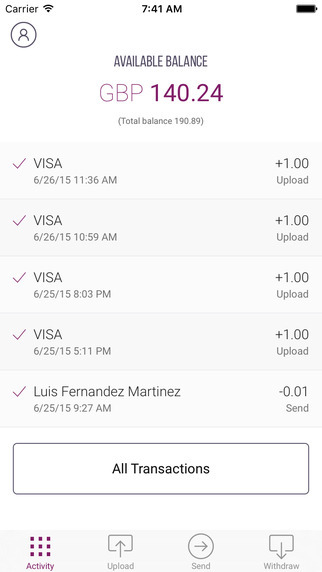 Uploading funds into your Skrill account is another available feature with your mobile app. Choose “upload” from the menu at the bottom to start the process. 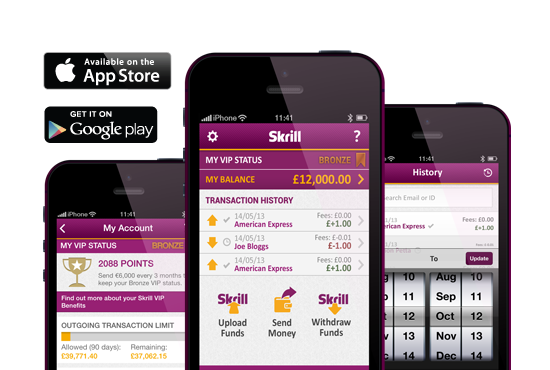 Now choose your preferred deposit option and enter the details to upload money into your Skrill account. 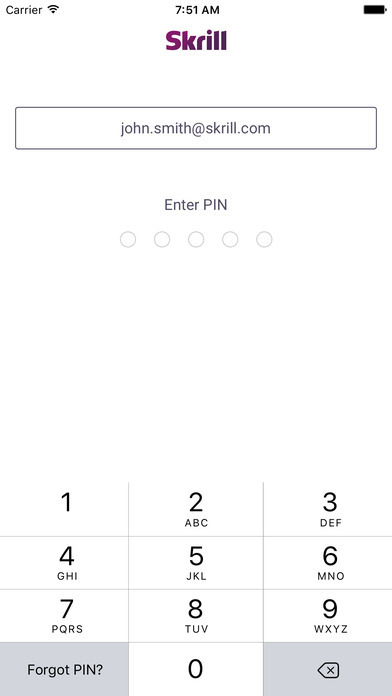 Of course you can check your transactions and your account balance as well, any time and anywhere. Click on the activity tab from the menu to open your full transactions history. You can check your current account balance as well as browse and search through your transaction history. 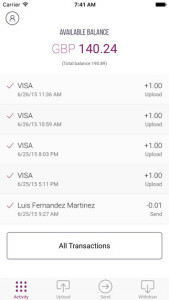 The Skrill Mobile app is a great way to simplify the process of money management on the move and to access your funds at any time with your mobile devices. 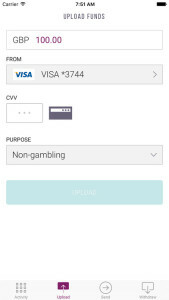 Skrill has developed an easy and intuitiv app which makes it perfect for everyone who wants to check or transfer his funds on the road wihout any problems. If you have any questions about the Skrill Mobile App or Skrill in general, please do not hesitate to contact us and make sure to apply for our free Skrill Bonus Program to earn monthly bonuses and get upgraded faster to any VIP level with much lower requirements. Not registered with Skrill yet? 15 USD welcome bonus (only new clients!). 1% Cashback for new VIP clients (up to 100 EUR).